Bo with four All-Breed and/or Specialty BIS winners in the 1990s: from left, BIS & SBIS Ch. Bohem Moonshine Lullaby, BIS & SBIS Ch. Bohem Delacreme Demoiselle, Multiple SBIS Ch. Whippoorwill Bohem Aria and BIS Ch. Bohem Of Thee I Sing. Bo in 1988 with Aria and her second litter, five of which grew up to become champions, several of whom also had lure coursing titles. Swedish import Colt's Halfpenny (Linda) with Bo and the Arabian mare Raffdazona, mid-1980s. Greyhound Int. Ch. Piruett (bred by Göran Bodegård & Bohem) with Birgitha Runmarker, BIS at the FCI international show in Stockholm 1974. Ch. Bohem Flamous (Tiger) with Bo in Sweden, 1971. Tiger was an excellent sire but moved to Mexico with his Swedish owner while still young. 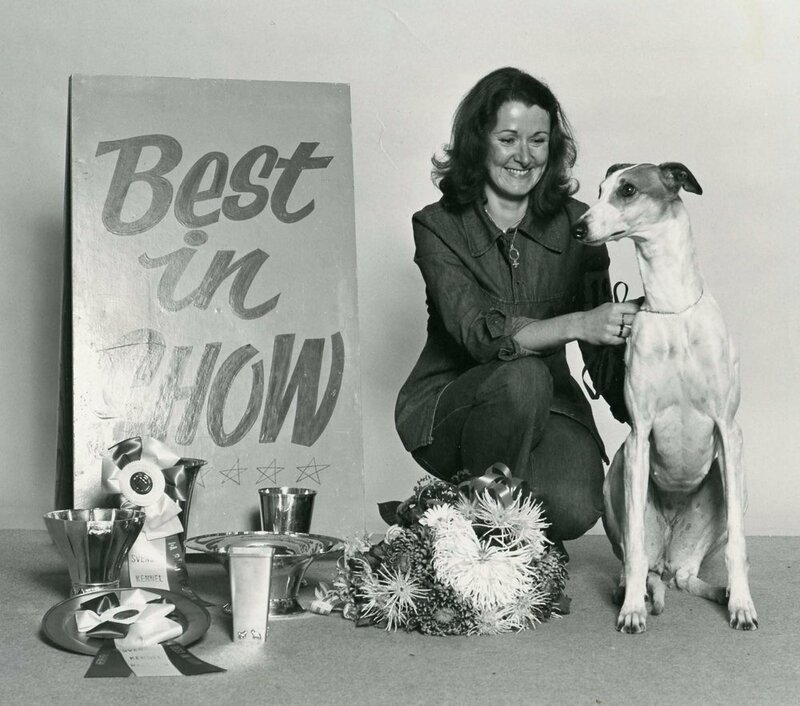 Bo with Greyhound puppies Guld (right) and her sister Sekin, 1966. The first champion, Afghan Hound Ch. Ariadne el Khandahar, b. 1959, flanked by her sons Ch. Bohem Waalph (left) and Int. Ch. Bohem Python, both b. 1965 in Sweden.